ANOTHER NEW TOUR OUT WEST! For our newest tour, we will be riding 3 of the Northwest’s best trails. Featuring spectacular scenery through forests and meadows, mountain views, rivers and lakes, trestle bridges and tunnels. Our routes combine these well-known trails into one fine adventure. 1. 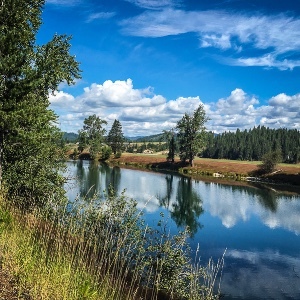 The Spokane and Northern Idaho Centennial Trail winds it’s way from Riverside state park, along the Spokane River through Spokane, Washington and ends up 56 miles later at Higgins point east of Coeur d’Alenes, Idaho. 2. The Route Of The Hiawatha is called “The Crown Jewel Of Rail Trails”. It was inducted into the Rail Trail Conservancy’s Hall of Fame in 2010. 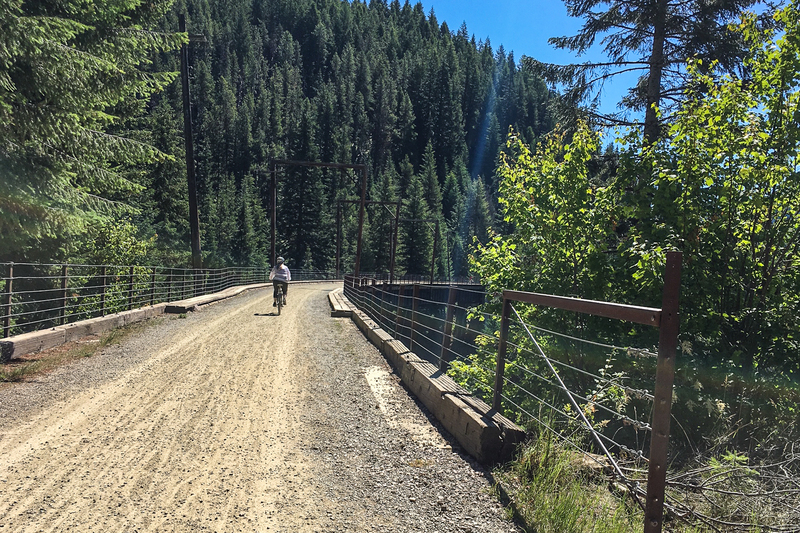 Ride 15 miles downhill through multiple tunnels and trestle bridges. 3. The Trail Of The Coeur d’Alenes was also added to the Hall of Fame in 2010. 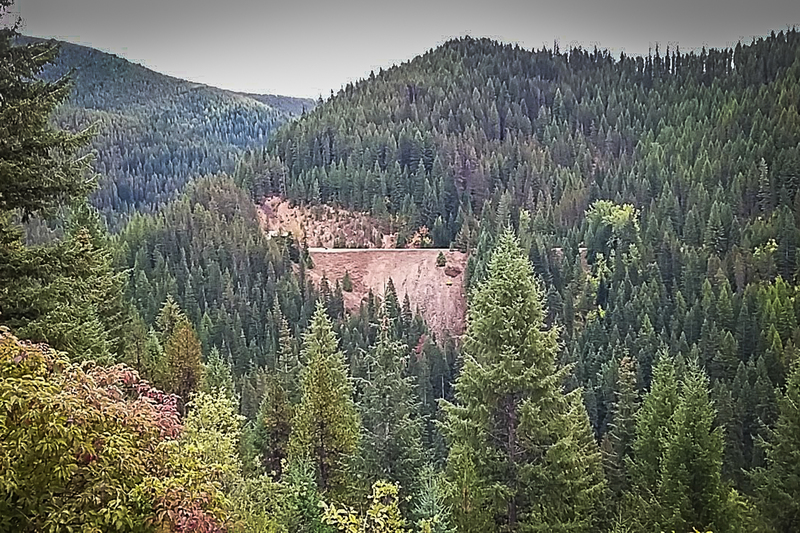 72 miles downhill from Mullen, Idaho to Plummer, Idaho. 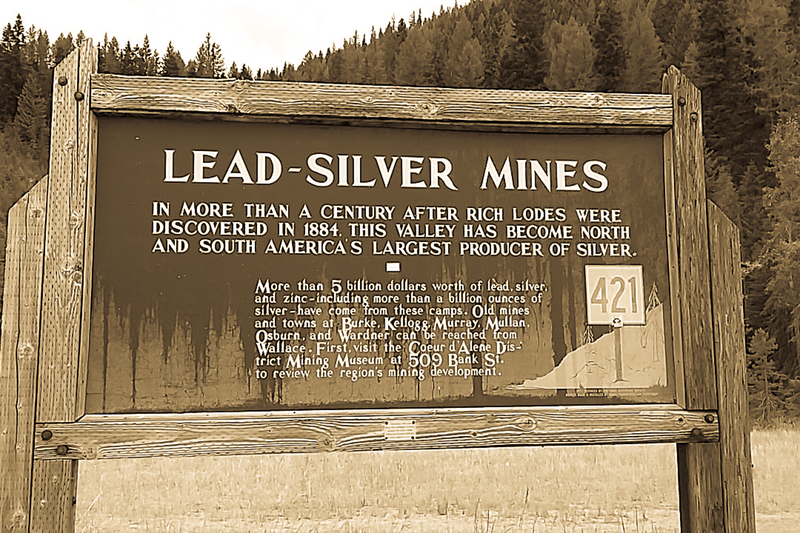 You will be cycling through the Silver Valley, one of the richest silver finds in the world. Be sure to spend some time in the towns of Wallace and Kellogg. 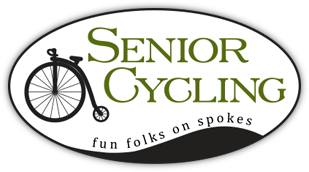 This tour is a definite GO, so don't wait, sign up today! We all meet at the Spokane, Washington Airport Holiday Inn for introductions, cocktails, followed by dinner on us. 25 miles - We begin the day with a short 12 mile shuttle to Riverside State Park. Lunch is on your own in Spokane. Next we will bike to the Hampton Inn in East Spokane. Total milage- 25.5 miles. Dinner tonight is on your own but we’ll shuttle for your convenience. 22/31 miles - Today we will bike right from the hotel and back onto the trail, riding to Higgins Point. Lunch is on your own in Post Falls, Idaho. The day's ride is 31 miles unless you want to stop 9 miles early. We go right by our hotel. If not, we will shuttle you back to the Hampton Inn in Coeur d’Alenes, where we spend the night. Dinner choices are close and on your own. 15 miles - Today we have our longest shuttle of the tour, 70 miles to The Route Of The Hiawatha. 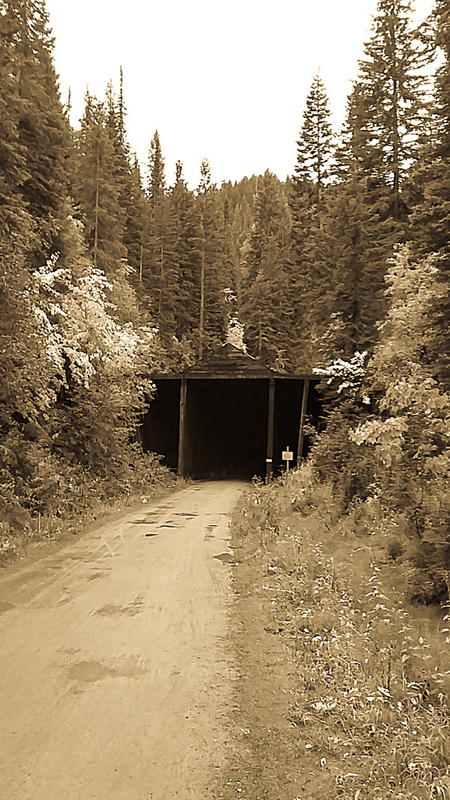 Sitting just inside the Montana border on top of Lookout Pass, you immediately ride into a 1.7 mile tunnel. Be sure to bring your headlamps! 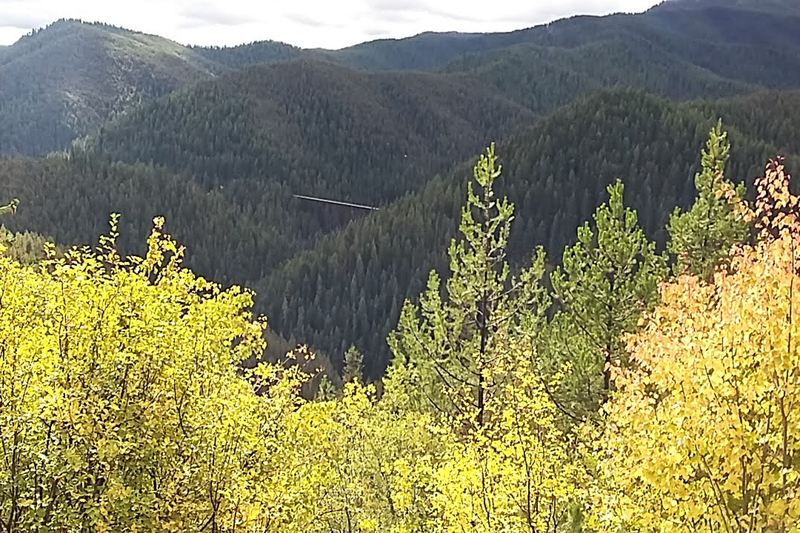 This trail features some of the most spectacular mountain scenery you’ll find anywhere. After your 15 mile downhill bike ride, a shuttle will be provided to bring you back to the trailhead. We will have a picnic lunch waiting. Then we'll shuttle 32 miles back to Kellogg, where we are staying two nights at the Silver Mountain Resort. Dinner is on your own. 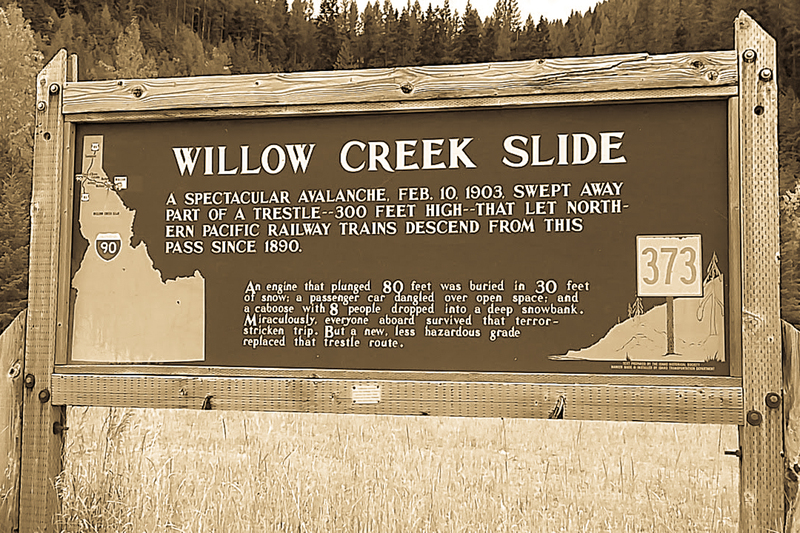 38 miles - A short 20-mile shuttle to Mullen, Idaho, where we'll begin the Trail of the Coeur d’Alenes. 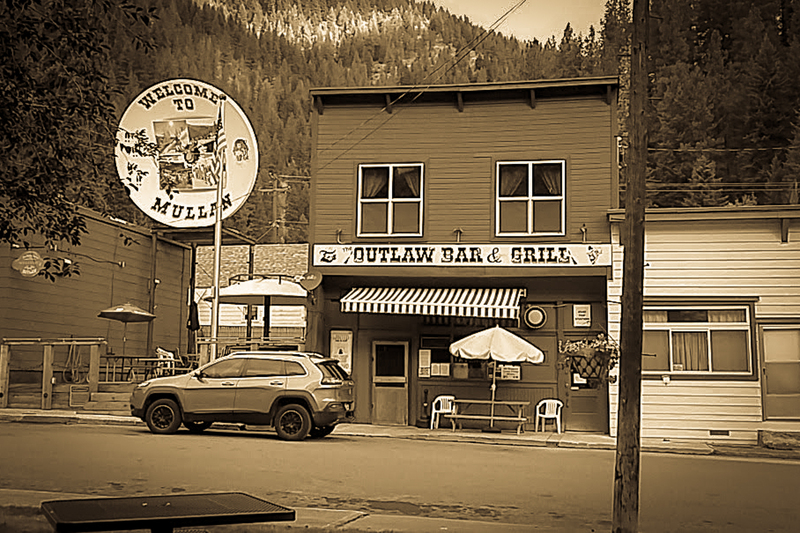 Be sure to have a look around Wallace, Idaho. Very interesting mining history. Lunch will be on your own in Kellogg. Total milage today is 38, stopping at Rose Lake and shuttle back to Catalgo to visit Old Mission State Park. From there it is a short 11 mile drive back to Kellogg for dinner on us. 34 miles - We shuttle back to Rose Lake to continue cycling on to Plummer. We will provide a picnic lunch in Springston. The day ends with our 50-mile shuttle back to the Airport Holiday Inn Express in Spokane where we began our adventure. That will conclude the Trails of Northern Idaho and Washington Tour. 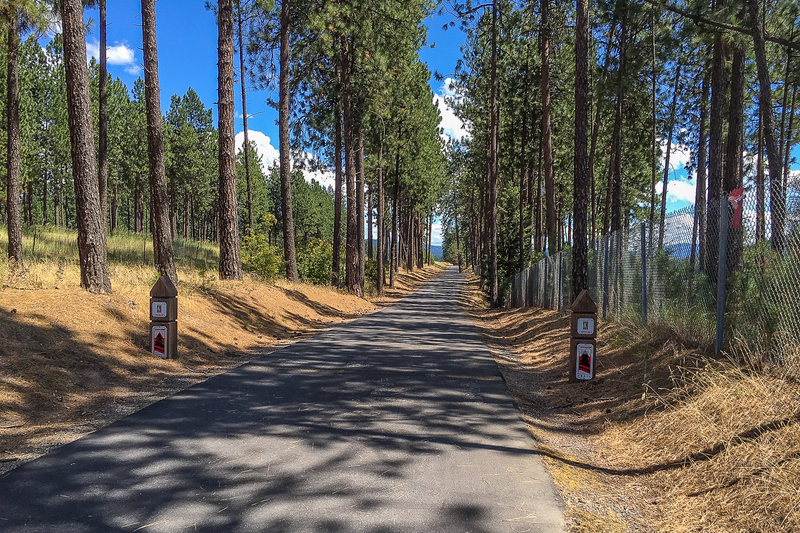 The Centennial Trail and the Trail of the Couer d'Alene are paved bike paths. The Route of the Hiawatha has a crushed stone surface. For this tour we meet people on Tuesday, September 3, 2019 at 5:00 pm the Holiday Inn Spokane Airport, 1616 S Windsor Dr, Spokane, WA 99224. The trip ends on Sunday, September 8. We plan to be back in Spokane by late afternoon. If you are flying, you fly in and out of Spokane International Airport. Our hotel has an airport shuttle. If you are driving, meet us at our hotel. You can leave your car at hotel during our tour. There may be a fee for this. Your 5 nights of lodging from Tuesday, September 3 through Saturday, September 7 are included. We have made reservations for those nights. Your night’s lodging on the day the trip ends (Sunday, September 8) is not included. That night is at your expense and reservations for that night are your responsibility. We have not reserved any rooms for that night.